Microsoft today released Windows 10 Insider preview build 14931 for fast ring insiders. The company also announced today that insider builds older than 14926 will stop working from October 15th. 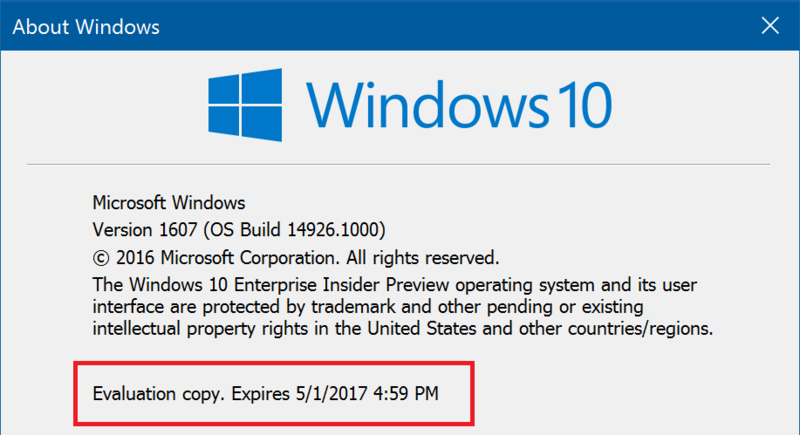 The newer builds also have an expiration date of May 1st, 2017.